Creating a sense of urgency in your marketing copy is a powerful way to increase your click-through rate and conversion. Why? Because it’s human nature to respond to it by making spur-of-the-moment decisions. We have found in our own testing, sending 3 emails + a specified deadline resulted in more than double the number of signups. That’s impressive! How do you add urgency? There are a number of ways you can add a sense of urgency to your marketing. Using a countdown timer raises the urgency level and compels action. 3. they can only get it for a limited amount of time. If choosing a Product Launch, you can type in the details of your campaign on the next page. Step 2: Webpage Countdown (you can enter your code to any of the tools you have integrated with Deadline Funnel. In our example, we used LeadPages. Step 3: You can test your funnel from start to finish. 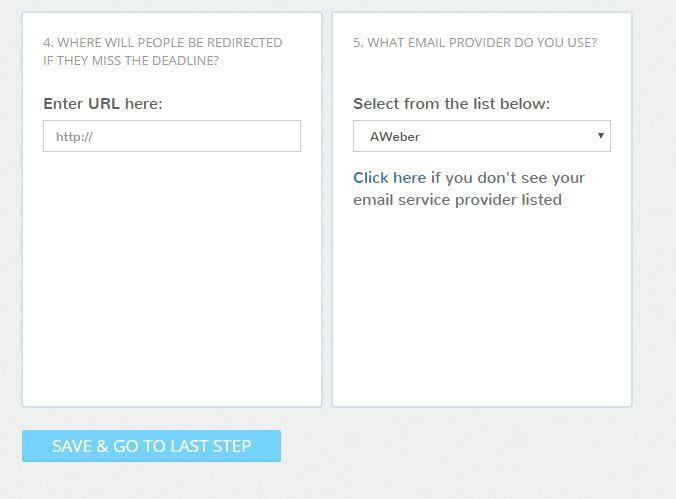 Add the URLs of your website where you want Deadline Funnel to be activated. 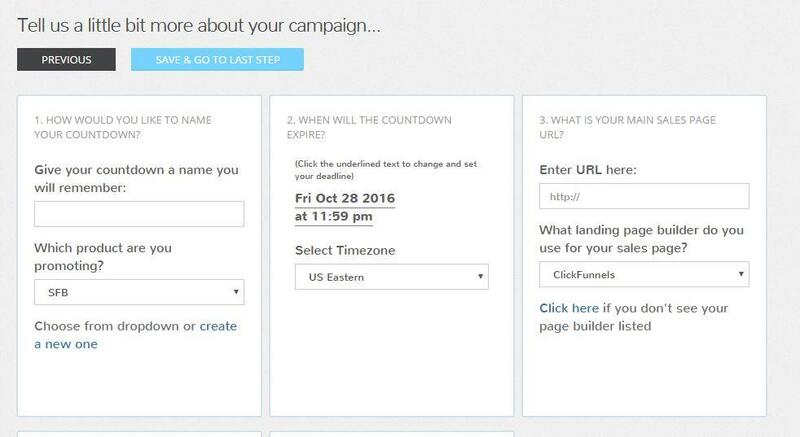 You can grab the code to create an animated countdown timer, and also use expiring links for your emails in your campaign. You can edit the appearance of your countdown, whether you choose inline, floating bar, or email timer. This is where you can update the general settings of your countdown. Here, you and your team can test your deadline to make sure everything works as it should. Deadline Funnel is designed to integrate with practically any tool you are using in your funnel. It’s as simple as installing a code as you would any other code (such as Google Analytics, etc). We used to open and close our membership manually. We had to manually adjust a counter, and then edit the sales page it was on and off, to indicate that the offer was no longer available. 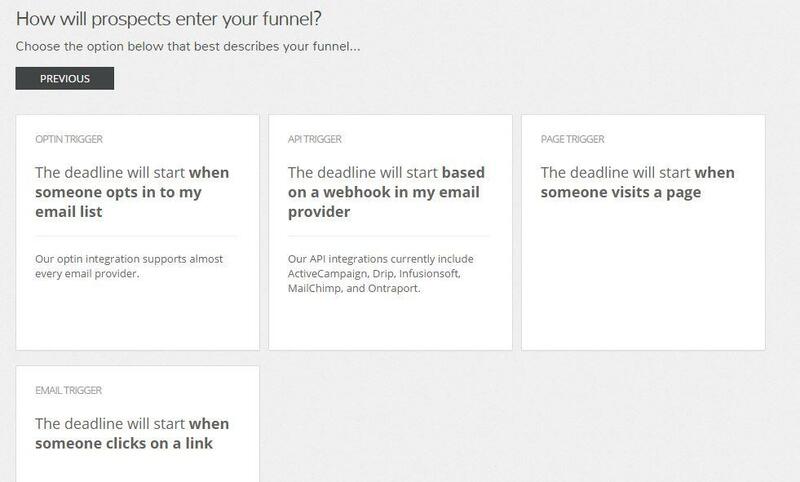 With Deadline Funnel, you can automate the opening and closing of your product / service. We were given incredible support to ensure our deadline funnel was operating effectively. The Deadline Funnel Fingerprint technology tracks everyone in your funnel using a combination of cookie + IP address + email address, to make sure their deadline is consistent through your entire funnel. This deadline fingerprint travels with them no matter where they are in your sales funnel so they have a consistent experience. Also, all your timers are sync-ed! Your countdown won’t reset if one person has opened another instance of your offer using a different device. Deadline Funnel offers infinite combinations of colors and styles for a unique look. You can add multiple timers on one page as easy as adding a picture. No complicated scripts needed. With people viewing websites on mobile devices more than they do on desktops, it’s a relief to know that your timers would look just as beautiful on smartphones as they do on a computer screen. Who is Deadline Funnel for? If you already have an amazing offer that people are already buying, but need a little help to get that extra boost in conversion, Deadline Funnel is for you. It’s a great addition to inject urgency into your marketing strategy. If (like us) you want to automate and regulate the intake of new members for your membership program to ensure the successful onboarding of new members, Deadline Funnel is for you. Our new member intakes happen all by themselves now leaving us to focus on the customers instead of the tech.